A fun take on self-portraiture. Featuring Deborah Goff at BDF in 2011. Photo by Arthur Fink. 1. How does photography affect/influence/reiterate the story of dance Still photographs help us see the poses, the postures, the juxtapositions, and the patterns that are part of any dance. While video lets us see the movement again and again, the fleeting moments of dance are represented as just that — fleeting moments. In a still photograph I can hold those moments. Indeed, many dance photographs hold iconic moments, which might otherwise be deeply buried in a moving picture story. By giving us easy access to some of those special moments, dance photographs can help photographers learn about, understand, and remember aspects of dance that can inspire new ideas and new moments. 2. What can a photographer learn from working with and/or witnessing a dancer? I’ve learned lessons about mental and spiritual agility, about reverence, compassion, and sustainability, about balance, weight, and form, about intention and opportunity, and about so much more. By intensely watching any creative artist, I can learn about creativity, surprise, about something that shouldn’t be called “failure” but is about things not working the way we wanted or expected. And as I watch great teachers in the dance studio, I’ve learned about how to teach essence, without having the details of a particular practice crowd out what’s really most important. 3. What can a dancer learn from working with and/or witnessing a photographer? I practice watching dance beyond the details of each movement, typically as I search for what images to photograph. This is a way of testing and translating my understanding of a particular dance piece. 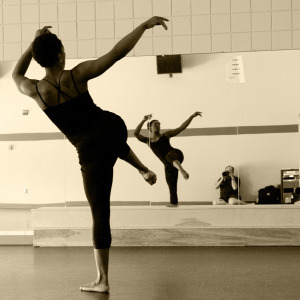 And I believe that dancers and choreographers can learn and benefit from the same practice. Those who have taken my workshops on, “Seeing dance like a photographer” confirm that this is true. 4. Why do you photograph the Bates Dance Festival? What makes BDF so special to you? Laura Faure, director of the Bates Dance Festival, has clearly established BDF as, “An international community of choreographers, dancers, educators, and students learning, creating, and performing together”. Along side the often competitive dance world, BDF is a cooperative endeavor. That’s nourishing for me, as I’m at BDF to learn as much as anybody. And, while dancers are glad to see my images, they are not expecting or hoping that I’ll showcase their artistry or virtuosity in the competitive dance world. I certainly learn from every class, rehearsal, or choreographic session that I witness. But I learn at least as much by living, eating, playing with the dance community here. That aspect of sharing our lives in a creative community is much of what makes BDF so special for me. 5. How does/can dance photography benefit our society? Dance matters, and I celebrate, and seek to add some coherent visibility, to the dance that is all around us here at BDF. If my photographs simply say, “Look at this . . . this dance step or pose or move”, and people do look, I do believe the world can become a better place. Dance teaches us all that our very weight that holds us down can be the force that sets us free to move. And, in that metaphor of finding ways to move together — not always in unison, but always in deep respect — we can build a better world. 6. Any other pressing items? I’m sad to see dance photography being forgotten as an art form or expressive medium, as incredibly high quality video equipment is becoming so common, and as video becomes an important part of every dance department curriculum. I’d like to see both forms of image recording celebrated, and well used. I’m interested in seeing still images become not just a way to document dance, but an integral part of more dance itself. That’s the subject for another whole dialogue . . . that I’d love to inspire or create.